A.I.O. Electrical Services - Electrician based in Wallsend, Tyne and Wear. With 14 years trade experience serving The North East. 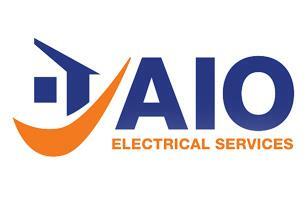 AIO Electrical Services cater for your every need. Domestic, Commercial, New Build sectors. Alterations/Additions, Extensions/Refurbishments. Domestic and Commercial Electrician covering the North East of England. Taking care of the customers needs and wishes. My aim is to light up their lives! Competitively priced, Professional and services with a smile. No job is too hard and no job is too small. From 1 million plus projects to changing Mrs Jones light. Covering such sectors as New builds, Extensions, Conversions, Renovations, Additions and Alterations, Past experience working as a site supervisor for the countries biggest domestic electrical contractor for the countries biggest house builders such as Taylor Wimpey, Bovis, Barratt & David Wilson, Persimmon Homes to name a few. We can deliver speed as well as maintaining high levels of quality and customer service.